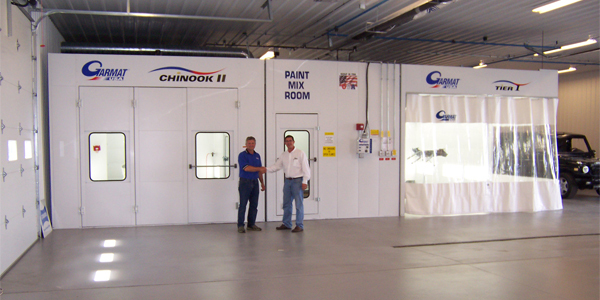 So, you’ve got your sights set on a nice new shiny spraybooth that’s going to increase your capacity and efficiency. You can hardly wait to write the check. But…have you looked beyond the actual booth? Have you researched the company? More importantly, what kind of distributor support do they offer? Does the manufacturer have a dependable distribution network? Do the distributors offer support before, during and after a sale? Don’t forget the cost to install your booth or new equipment. In certain cases, installation costs can double the cost of the equipment being purchased. This is where a trusted manufacturer or distributor can earn your long-term business and may just save you a boatload of cash. Ask a few shops in your area who they’re using and what their experience has been with them. Find a company that has a great reputation within the industry, manufactures quality products, has replacement parts always in stock and is readily available to return a phone call.